We are very excited and grateful to announce that Rebelle 2 is released today and integrates groundbreaking improvements including stencils, masking tools, PSD support, new brush system and more. The time has come to deliver this new version of the revolutionary paint software from the hands of the developers and beta testers to you, our dear artists, to create breathtaking artworks. 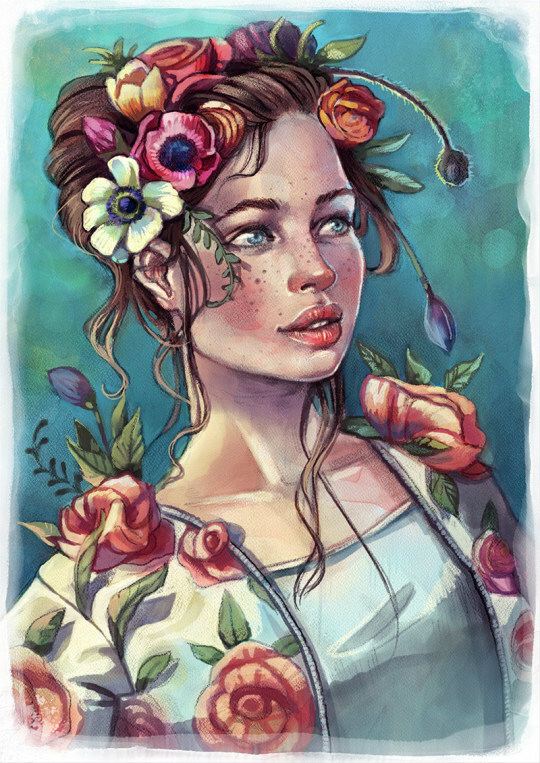 Rebelle 2 brings extraordinary improvements, watercolor and acrylic brushes got an unprecedented realistic look and together with watercolor masking tools give an exceptional traditional feel to the digital painting. Completely new brush engine allows users to create custom brushes - round, flat, bamboo, various wet splatters, sponges and many others. New stencils and selection tools together with wet paint diffusion open new creative results yet not possible to achieve in digital art. This new super charged version comes with full multi-touch support and layered PSD support. All these convenient features are wrapped in an agreeable and easy to use interface with a tiny learning curve. •	New brush engine - Newly implemented brush engine allows users to create unlimited brush variations. Users are able to create their own custom brushes or enjoy by default implemented shapes - round, flat, bamboo, various splatters, sponges and many others. With option to use GPU acceleration (yet experimental), brushes can have bigger size and faster response. •	Creative Stencils and Masking Tools - Stencils in combination with watercolor diffusion opens new possibilities for budding artists. Users can mask out painting areas, wet the paper and let the watercolor simulation create its magic. •	Selection Tools - Create quick masks and define shapes that block off the areas you do not wish to change. Classic freehand, polygonal, elliptical and rectangular selections got a new meaning when used in combination with traditional wet media. •	Layered PSD Support - An implemented layered PSD import & export is compatible with Adobe Photoshop and other applications and enables to transfer works smoothly also into other 3rd party graphic applications. •	Faster Performance - Undo/redo and file management are optimized so the whole painting process including opening and saving big artworks is much more fluent. •	Multi-touch Experience - Rebelle has a complete support for multitouch gestures for Wacom, Microsoft, Apple and alternative tablet and trackpad devices including Astropad application. •	User Interface - Interface is intuitive and easy to use, ideal for beginners or traditional professionals which may find that creative process can be very fluent also in a digital art. Simplicity and every important feature in reach is the first thing you find when using Rebelle. Users users can upgrade directly through Rebelle 1 menu: "Help” –> “Upgrade to Rebelle 2” or via our Upgrade page. Today we sent out newsletters as well - check your Inbox (possibly Spam) to find it. 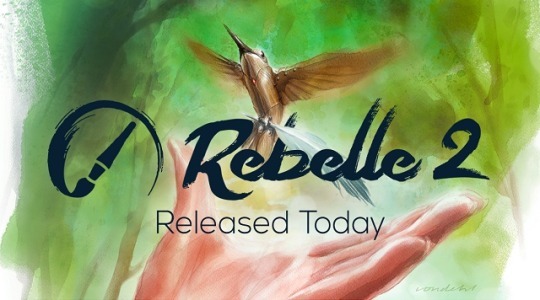 All existing owners of Rebelle are eligible for more than 50% discount - regular upgrade price is $39.99. Users who purchased Rebelle within last month, from March 25th 2017 upgrade for the price difference between versions, which is $29.99. Upgrading is optional and the upgrade discount will always be available. You can continue using your Rebelle 1 for as long as you like. Minimum: Intel i3 or equivalent AMD processor, 4GB RAM, 100MB hard disk space, Open GL graphics card with 1GB RAM, Windows Vista (64-bit or 32-bit*) or Mac OS X 10.9. *32-bit version coming soon. Recommended: Intel i7 or equivalent AMD processor, 16GB RAM, 100MB hard disk space, Open GL graphics card with 4GB RAM, 64-bit system Windows 7, 8, 10 or Mac OS X 10.10 and newer, Wacom or Surface compatible tablet. Bugs are always a part of developer’s life. We did our best to polish every little detail in Rebelle 2, but if you experience anything unusual, please send the problem’s description along with your system specification at our support email: support[at]escapemotions.com. We’ll get back to you in a timely manner. We at Escape Motions are very excited to bring you the brand new Rebelle 2 version. We wish you many creative moments with it and hope you will share your beautiful works with us through our Gallery. Let us know how you like Rebelle 2, what is the top feature of this upgrade for you and what features you’d like to see next. After such long development we are very much looking forward to your feedback and hope you’ll enjoy Rebelle 2 and all new possibilities that it brings.